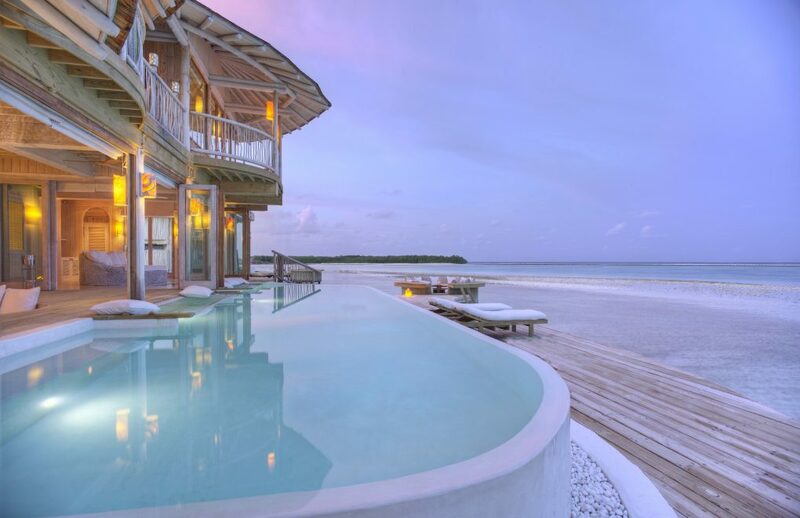 Soneva Jani has announced the ultimate in desert island living, island and overwater villas in crystal clear waters of the Maldive Islands with uninterrupted 360° views of the Indian Ocean. 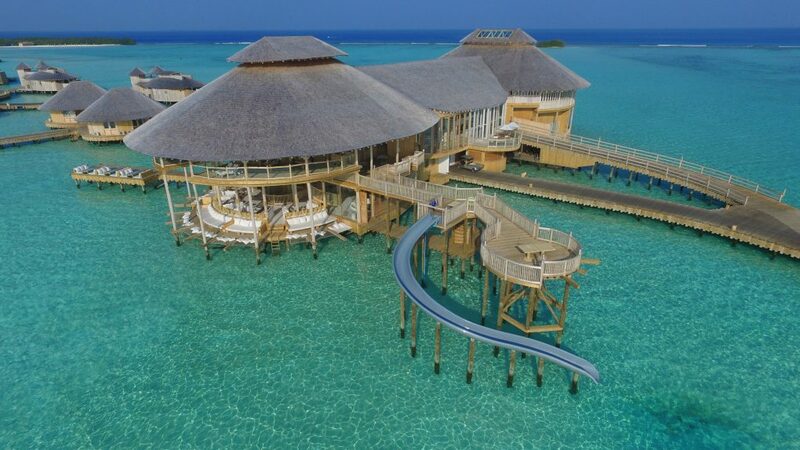 The new resort is situated on the island of Medhufaru, which is part of an uninhabited five-island cluster in the Noonu Atoll. The main island is fringed by pristine beaches and blanketed with lush tropical greenery. The resort is 35 minutes by seaplane from Malé Airport. 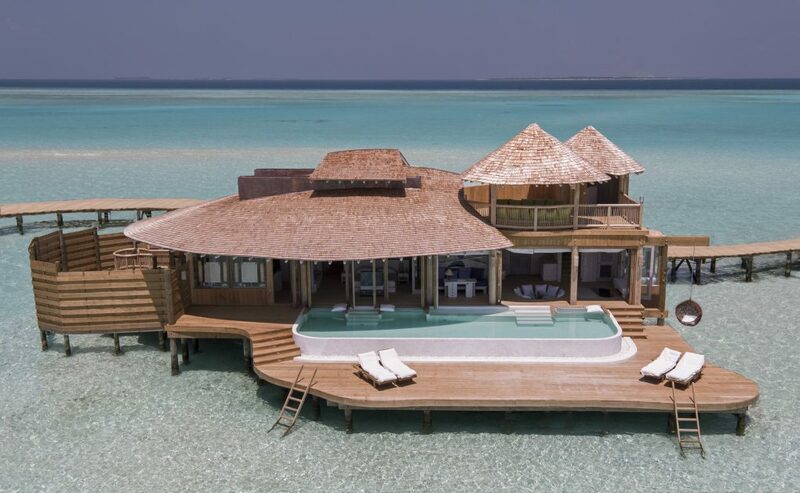 At Soneva Jani, there are 24 water villas and one island villa, with additional island villas planned at a later stage. 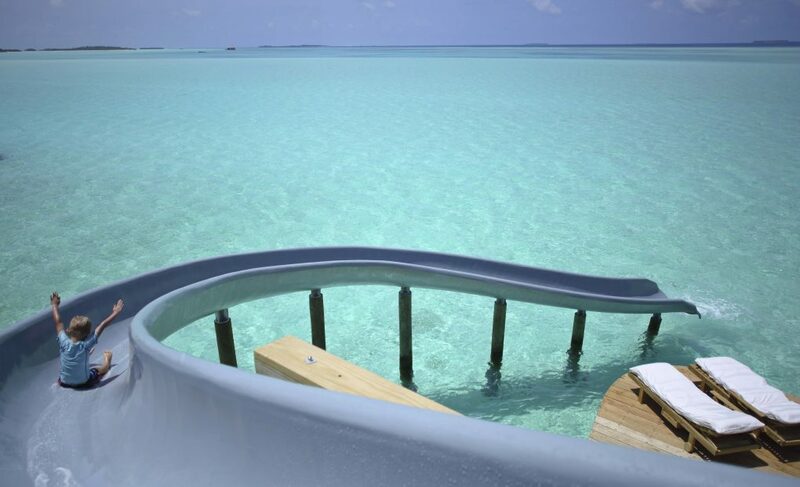 Every water villa has a private pool and opens to its own stretch of lagoon, with some villas featuring slides going directly from the top deck into the lagoon below. 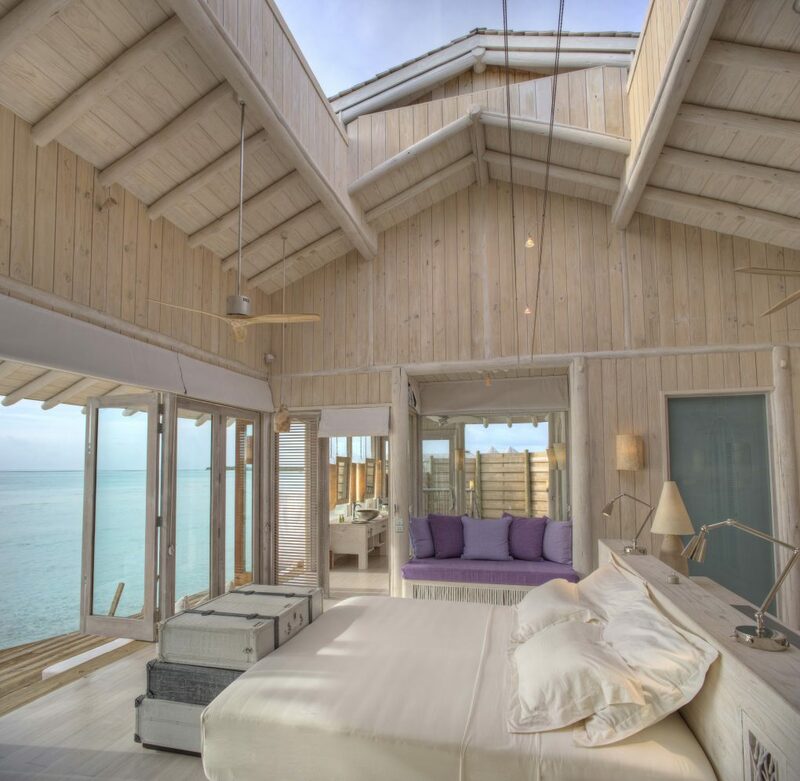 A highlight of the water villas is the retractable roof in the master bedroom, which slidesback at the touch of a button so that guests can lie in bed and stargaze. 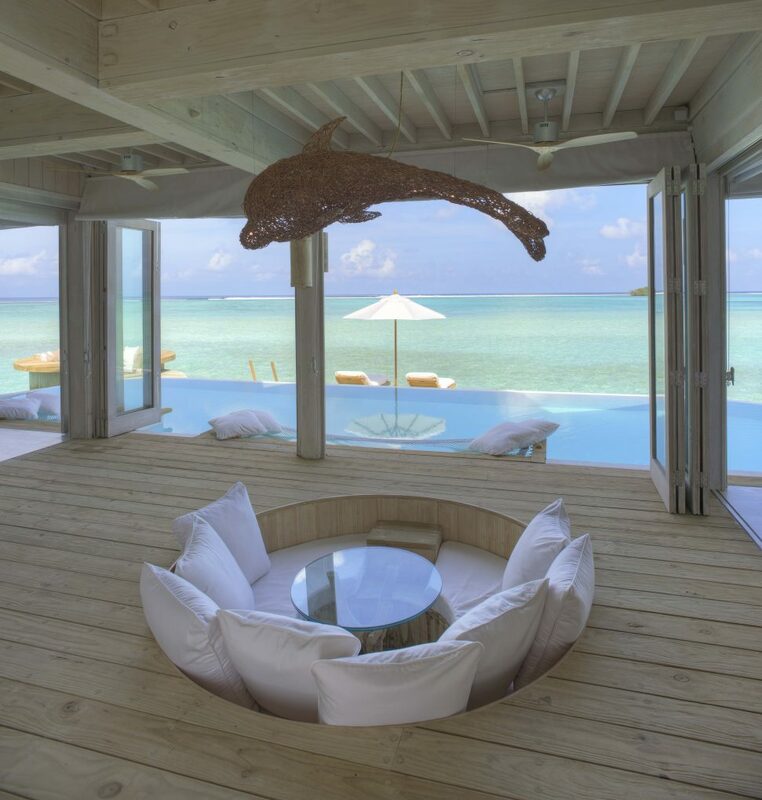 The properties feature beautifully designed interiors by Eva Shivdasani, one of Soneva’s co-founders. The resort includes a spa, a dive center, an observatory, a children’s den, organic gardens and an outdoor cinema where guests are given Bluetooth earphones to watch movies so as not to disturb the nesting wildlife in the area. In constructing the resort, Soneva kept its environmental impact as low as possible. The pools use seawater with UV filtration and the villas are built over the sandy floors of the lagoon with no damage to any part of the reef. Soneva’s Eco Centro Waste-to- Wealth center ensures that waste is recycled, while the extensive vegetable garden gives local produce for the restaurants based on organic principles. Prices for paradise start at $3 million. The villas are sold on a renewable leasehold basis. Owners can opt to put their property in a managed rental program.